2016 in the USA : A 2nd American Revolution, Civil War, or Both? No ultra-permissive society ever avoids Judgment (aka Karmic Justice), especially when rampant moral depravity so corrupts the nation’s children. Hyper-liberalism always triggers a backlash among society’s more conservative elements. The profound and growing number of differences in political philosophy between the large metropolitan areas and the rural counties has reached a breaking point. Likewise, the great divide between the red states and the blue states is now so deep and so wide that they appear to be irreconcilable. The current period of the American Republic is now mired in such a prevailing clash of political sensibilities and cultural sentiments that many speak of it in terms of a 2nd Civil War. This ever-intensifying conflict not only pits Democrats against Republicans, liberals against conservatives and left against right, it also involves a simmering class conflict. The Obama Administration has also quite purposefully fueled the flames of racial tension as well since the first half black president took office. As if these many conflicts do not already pose an overwhelming challenge, there is also the specter of a second American Revolution looming on the horizon. This organically-grown, grassroots revolt by the American people against the U.S. Federal Government has been gaining steam with each day that Obama stays in office. Under his virtual dictatorship, Washington, D.C. has grown so large and oppressive that many now question its very purpose. All three branches of government — Executive, Legislative and Judicial — are drunk with power and unwilling to reign in their own dictatorial urges. 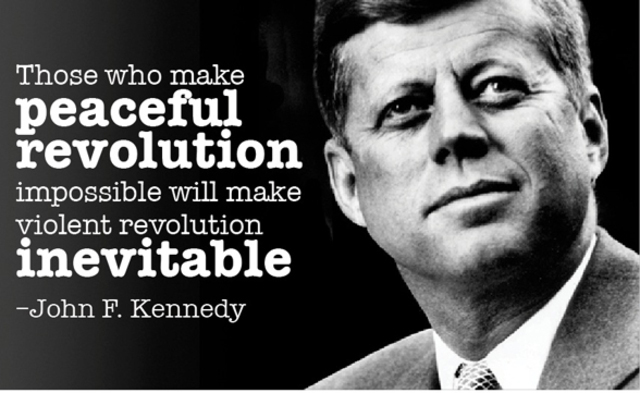 The corruption throughout the federal government is now so pervasive and so profound, that many feel there is only one resolution … or, rather, revolution. At the very root of this escalating conflict are the fundamental differences which have always existed between the godless, materialistic, secularized liberals and the God-fearing, traditional, religious conservatives. So much is occurring every day now which routinely pits atheists and unbelievers against Christians and other God-revering people. The left-wing of the Democratic Party has taken full advantage of the far left Obama Administration to ram through every piece of legislation that deeply offends. In so doing they have alienated tens of millions of Americans, so much so that many now feel like strangers living in their own country. When any nation lectures the rest of the world on human rights or civil rights, or any other international norms and laws that they themselves are guilty of violating daily, sooner or later that nation will be facing a judgment which profoundly challenges it. When the same nation commits acts of naked aggression, especially against small defenseless countries, it is only a matter of time before it will receive its comeuppance. Just what are we talking about? • The CIA openly droning innocents in Pakistan and Afghanistan, Yemen and Somalia. 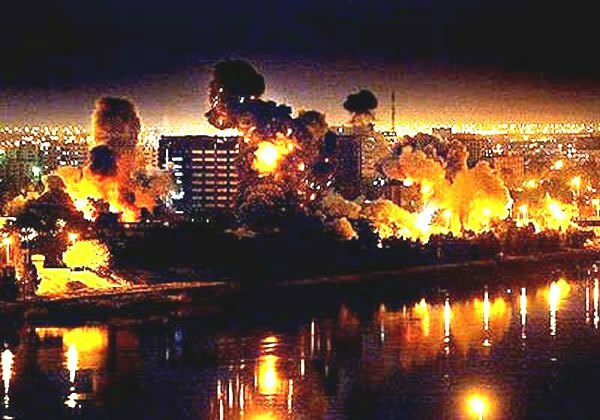 • The U.S. Military violently overthrowing the legitimate governments of sovereign nations such as those of Iraq and Afghanistan, Libya and Yemen, while inflicting much death and destruction in the process. • Coordinating covert color revolutions via the CIA, NSA, DIA, US State Department, National Endowment for Democracy, and other front organizations whose only purpose is to subvert governments like those in Georgia (Rose Revolution) and Ukraine (Orange Revolution). • The U.S. Government and CIA using clandestine black operations to either invade or commit terrorist attacks in countries within the Russian sphere of influence such as Chechnya, South Ossetia and North Ossetia. • The outright and brazen interference in the affairs of South American nations from Venezuela to Bolivia, Brazil to Argentina, Ecuador to Paraguay, Mexico to Columbia, Honduras to Panama. • The execution of false flag terror attacks and assassinations in nations near and far, large and small, all in the interest of forever gaining geopolitical advantage in the playing of the now ubiquitous Great Game. On the domestic front, the tyrannical U.S Federal Government has been quite busy stripping the citizenry of their rights and freedoms since the false flag terror attacks of 9/11. Likewise, the government and media have been used to intimidate citizens and businesses alike to go their way or take the highway. The political correctness which is now attached to so much that is completely contrary to a constitutional republic is as shocking as it is outrageous. Yes, the Founding Fathers are rolling in their graves like never before. How could they rest in peace given the current chaotic state of affairs?! This highly intrusive and despotic approach to governance is best illustrated by the Administration’s policies concerning illegal immigration. The White House has not only issued unlawful yet quasi-Executive Orders through the DHS Secretary’s office, Obama has done so against the wishes of the southwestern states which bear the brunt of his misguided policies. He has also acted in violation of judges’ orders not to proceed with various illegal immigration maneuvers. The Obama Administration has distinguished itself for an unprecedented number and severity of instances of lawlessness and anarchy. If Obama’s two terms in office become known for one thing in particular, it is the shocking degree of lawlessness and anarchy which has been encouraged on his watch. Without any doubt the true tragedy ‘played’ by the current Administration concerns the pervasive social degradation and extreme moral depravity which now increases by the day across the country. Obama has overseen the rapid hyper-liberalization of American society which both shocks and awes the consciousness of people young and old, rich and poor, smart and dull. Not only did Obama enter the office as the most liberal president in American history, he quickly morphed into ultra-liberal on steroids. This occurred because he quite stealthily hid his true values and principles, sentiments and beliefs during both election campaigns. 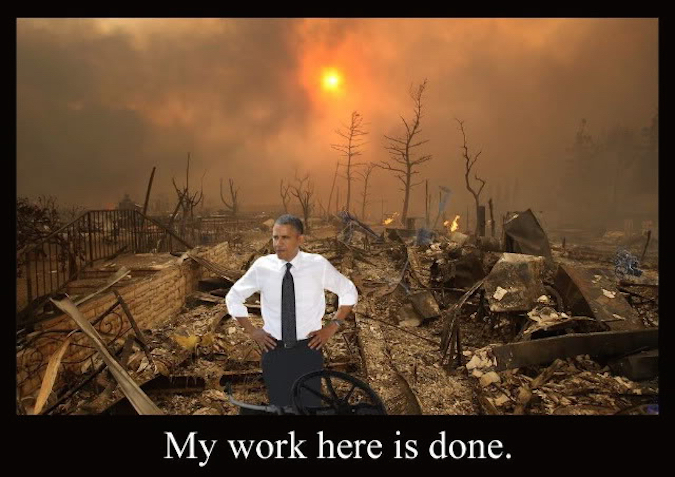 In so doing, he successfully conned enough throughout the electorate that he would eventually be empowered to hasten the destruction of America. The damage that has been inflicted under Obama’s leadership to American government and other longstanding institutions is too profound to even comprehend. Much of this destruction has been wrought by way of methodically tearing the social fabric. When the nuclear family, for instance, is so devastated, the communities and towns, cities and counties, states and nation are clearly on the way to complete moral decline. That is how Obama was used to destroy America … by driving every conceivable wedge issue between family members, between friends, between business associates, between co-workers, between casual acquaintances, etc. He was only able to accomplish this feat with the extraordinary support of the super-liberal Mainstream Media; hence, this treacherous agenda could have only been implemented by the much more treacherous and deceitful Democratic side of the wholly counterfeit coin of American politics. 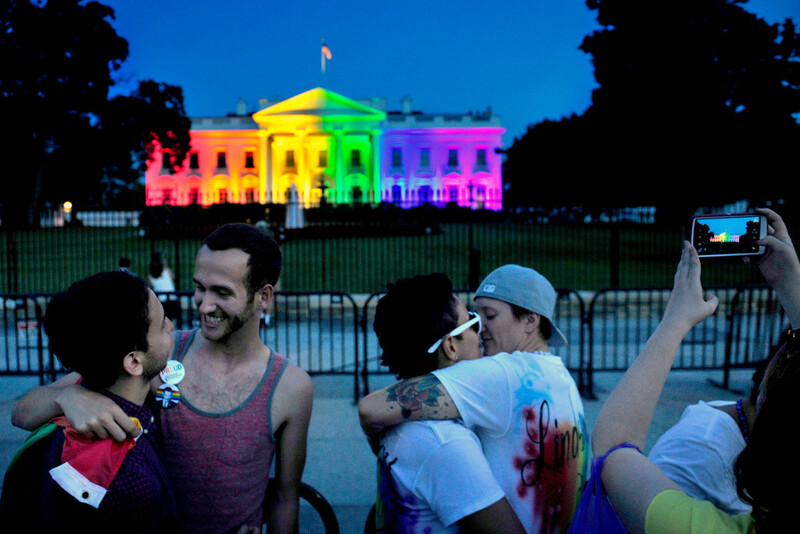 Let’s be real — anyone who can successfully convince the American people that gay marriage and late-term abortions, transgenderism and in-your-face homosexuality is perfectly acceptable, and that these transgressions even ought to be celebrated, is quite dangerous indeed. Frankly, there is nothing more dangerous to civil society that the current poison of political correctness that is oozing across the land. 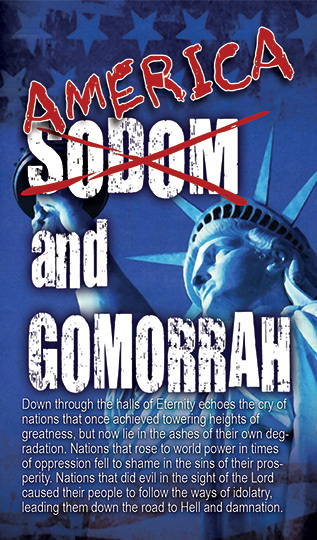 If ever Sodom and Gomorrah have re-emerged on planet Earth, guess where that might be? Hollyweird has enabled Obama’s scheme on the West Coast via TV programming and motion picture memes, just as the New York City has funded it’s advancement from the East Coast. All the while the Washington D.C. lobbyists and lawyers have legislated the immoral laws and unethical statutes to provide the veneer of legitimacy for the whole misbegotten enterprise. The American Republic has shown itself completely incapable of responding to either the reckless criminality of the Bush Administration, as it has to the naked lawlessness of the Obama Administration. Consequently, those forces which are necessary to induce a state of self-correction on the entire nation will now administer their Judgment. That Judgment comes quite conveniently on the crest of the wave known as the Super Shemitah Jubilee. 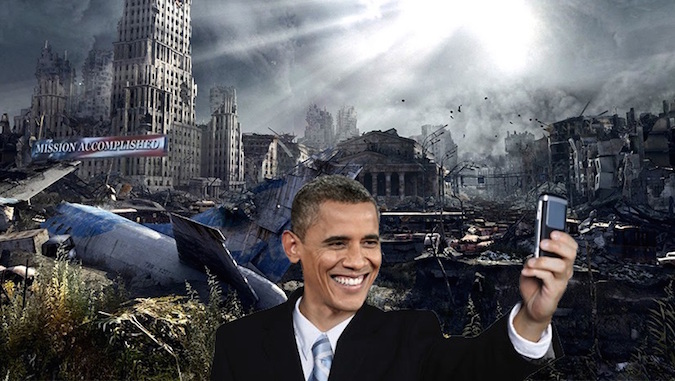 The upcoming period of unparalleled upheaval and transformation will be like any other in U.S history. Truly, the judgment of the Almighty is at hand. If you don’t believe it, read some of the essays and articles listed below. Chances are you’ll become a believer real quick. After all, the September Super Shemitah is right around the corner. At the end of the day, there is one final conclusion that can be drawn from this rather hapless state of affairs throughout the once United States of America. The author is well aware of the multi-century plot designed to take America away from the original intentions of the Founding Fathers. We are now witnessing the outworking of the final stages of that highly organized conspiracy. When those same co-conspirators can successfully pull off the false flag terror attacks of 9/11, what can’t they do? Perpetrating false flag operations across the planet, at will, provides further testimony to their extraordinary reach and determination, awesome power and influence. However, there is one thing they can no longer control, especially since the advent of the internet. The real perps cannot prevent the light of awareness from being shined on their darkness. With each successive revelation about their perpetration of the 9/11 attacks, about the CIA execution plan behind the JFK assassination, about the geoengineered weather that caused the California drought and Texas deluge, about the social engineering agenda behind illegal immigration, about the transhuman engineering agenda driving the super-vaccination program, things are going to change. The preceding list is actually MUCH longer and more threatening than stated so busy are the countless treasonous leaders and lawyers, traitorous scientists and doctors. Nevertheless, when their time has come, their time has come. The key point here is what the righteous and dharmic will do when the anticipated reversal of fortune of TPTB occurs in living color and in real time. Welcome to either the 2nd American Revolution or Civil War! By the way, no one ever said that either prospect, or both, couldn’t be completely peaceful and orderly. This is a war between different philosophies of life and can be solved by the many great minds and big hearts who reside throughout the 50 states. 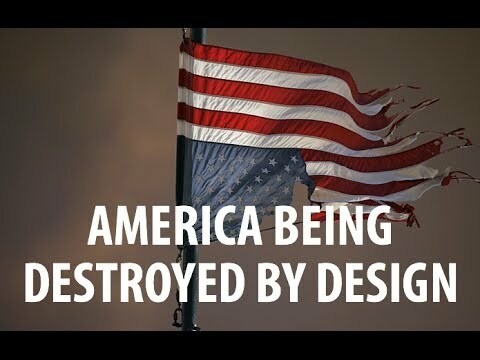 There are many telltale signs that America is headed for societal destruction … self-destruction, that is. It has been oft-repeated that the USA could never be destroyed by foreign enemies in this era; that, if it fell, it would fall through the agency of enemies within. Well, those enemies are now working full time to bring ruin to this once great nation. Who is not aware that the United States’ two-party system has been co-opted in such a way so as to guarantee the collapse of the American way of life? Who has not experienced — firsthand — that the American Dream has been slowly morphing into an American Nightmare. Therefore, the question remains, “What will be done about it?” … before it’s too late. We highly recommend the following essay as a means of addressing this dire predicament. All of US got US into this mess; it will require all of US to get US out of it, YES? !